Enhancing your home with an air purifier is about so much more than just conveniently removing dust. The air we breathe is often contaminated with dust, dander, pollen, gas, chemicals and other particles. And dust is much more than just what meets the eye. In fact, human eyes can’t see particles under 25 microns, but modern home air purifiers can efficiently eliminate contaminants as small as 1/3 of one micron! Anyone with air-borne allergies, or living with a smoker, or living around a chemical-intensive commercial area will immediately notice improvements in air quality when an air purifier enters their life. An air purifier offers a perfect solution when someone in your family wants a pet cat, but mom or dad gets asthma from animal dander. Asthma currently afflicts around 24 million adults and children in the US. This is a chronic respiratory condition often resulting from an allergic reaction that may be relieved by a home air purifier. As polluted air flows into an air purifier, contaminants are efficiently eliminated. When the fresh, clean air flows out, it transforms your home, your lungs, your health and your life! HEPA, or High-Efficiency Particulate Air filters trap microscopic contaminants, eliminating 99.97% of all particles larger than 0.3 microns. HyperHEPA filters remove particles as small as 0.003 microns! The HEPA filter’s fibers are essential for trapping particles in the air flow. Passing through the filter, the air carries various contaminants. Particles larger than one micron stick quickly to the fibers as the air flows through. Smaller, lighter particles keep “going with the flow” longer before bumping into a fiber. However, the HEPA’s accordion-style pleats create many obstacles, ensuring that even the tiniest particles get trapped by the fibers. These types of air purifiers are perfect for those who suffer from severe allergies, as they capture airborne pollen, dust and other allergens. They often feature HEPA and/or activated charcoal filtration. 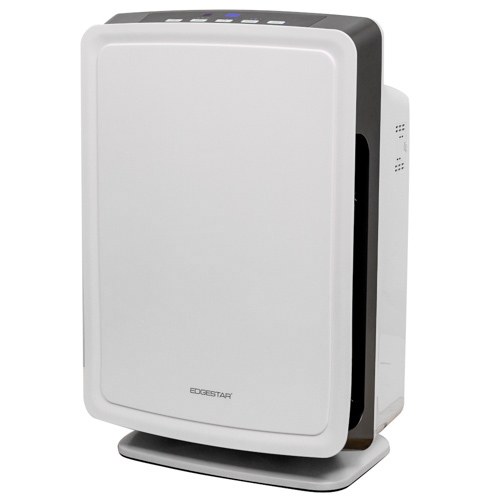 Note that air purifiers can’t actually cure allergies or asthma; however, an air purifier designed to filter airborne allergens offers substantial relief by reducing triggers. An activated charcoal filter works by removing microscopic particles via chemical adsorption. By treating it with oxygen, carbon becomes activated, opening up millions of tiny pores between the carbon atoms. This creates a huge surface area in a small space, perfect for absorbing microscopic contaminants like dust and pollen. Powerful charcoal filters make it easy to eliminate the toughest smoke and/or odors from your indoor air. Living with a smoker may be a fact of life for many people, but living with smoke doesn’t have to be. The home environment can be purified and kept fresh with an air purifier designed to eliminate smoke and odor-bearing particles. The Mayo Clinic states that secondhand smoke is related to low birth weight, sudden infant death syndrome (SIDS), childhood asthma, bronchitis and pneumonia. The Centers for Disease Control and Prevention (CDC) also reports that lung and heart disease from secondhand smoke kills over 41,000 people annually. These are strong reasons for using an air purifier. Medical-grade purifiers eliminate gas and chemical pollution. Many medical conditions require a vigilant strategy of purifying the air to reduce health risks and improve overall comfort. Elderly people, those with compromised immune systems and chronically ill individuals are especially vulnerable to airborne toxins. Medical-grade purifiers eliminate chemicals and emissions, improving the home environment and quality of life. Air purifiers need breathing space, so be sure it has a few feet of clear space around the top and all four sides for unobstructed air circulation. 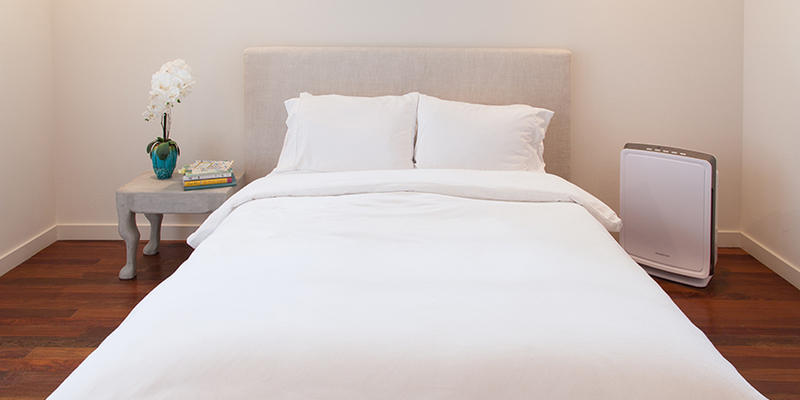 Also, purifiers come in a wide variety of sizes — be sure to use the right size purifier for the room where you put it. If the room is large, make sure the flow of clean air from your purifier is directed nearby, where you will get the most benefit. If the room is smaller, this won’t be as important because all of the purified air will circulate throughout the room. This is especially important for homes with smokers and for people with health conditions like allergies, asthma and other respiratory illnesses. 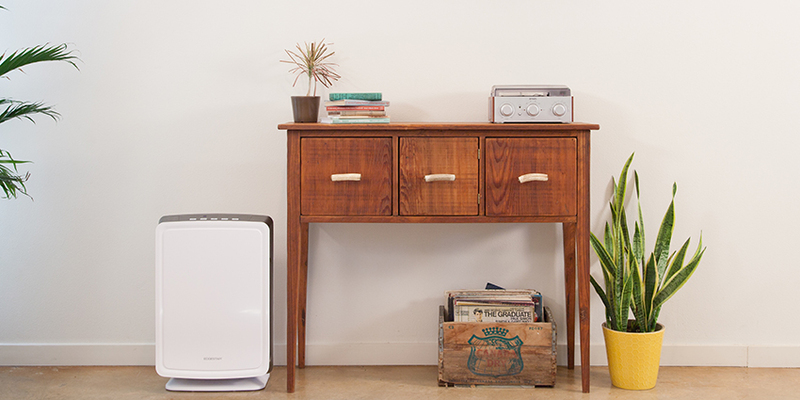 Today’s air purifiers are energy-efficient, so leave it on. Just like house cleaning, keeping your home’s air clean is easier than neglecting it and having to clean it all at once. An air purifier can’t clean the whole outdoors. Just like cooling with air conditioning, it’s better to keep the air in your home clean by limiting the introduction of outside air and its pollution. Sealing any leaky windows or doors will also stop your purified air from escaping! Be sure to read and follow the manufacturer’s recommendations for maintaining your home air purifier. In general, HEPA and carbon filters need replacing annually. Washable filters should be cleaned every ten days or so. Air purifier filters hold the key to peaceful breathing, so don’t allow them to become clogged with contaminants — this will effectively render your air purifier useless. With a home air purifier, your home will be more comfortable, inviting and refreshing than ever before. Choosing the right air purifier for your home can be immediately rewarding for your whole family. Operating it properly will ensure your home has the cleanest, purest air your lungs have ever experienced! Hi Erin, I enjoyed the well detailed article. You may also like to consider the health benefits offered by the introduction of Aromatherapy in the air you breath? I can proudly recommend that you explore the topic. I agree that you need to choose the space where you will put an air purifier carefully. I would imagine that a central location would be a good place to put it. I’m looking for an air purifier for my home so I’ll have to find a good space to put it as well. Dehumidifier first to remove the spores from the air after cleaning the closet with bleach water. after that you get the air purifier. You will need to use both. I work for the Health Department in the Environmental Division so I hope you take my advice. At some time there was probably mold in the closet. Replacing the wall cover with new drywall would help. There might be black mold on the other side of the wall. Keep the dehumidifier running by keeping the holding tank empty when it fills up. Hope that resolves your problem. It looks like you’re not getting any advice!! So I’ll mention a few things that got my closet smelling better. Do you have a pair of “stinky” shoes in your closet? Or some food in the bottom of a purse? What is the smell like? Maybe a piece of dirty laundry somewhere? A dead mouse in the wall? Open the bedroom window on a fresh day, open the closet door and blow a small fan towards the closet, and drawing air from the window. Good luck. I agree that smoking can really cause allergy problems. We don’t smoke but our neighbors do and it causes big problems with my allergies. Where can I go for advice on a Hepa air filter that was given to me from second hand store! 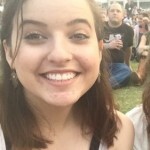 Thanks from anybody who can help me !